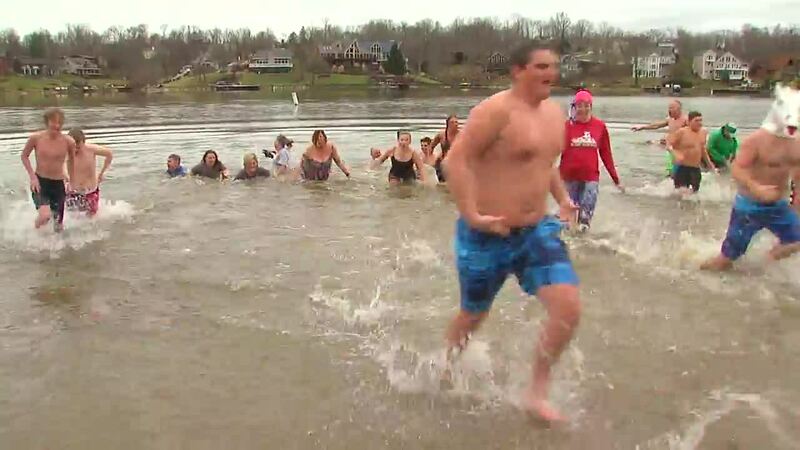 Dozens took part in the annual Polar Bear Dip at Hidden Valley Lake. It wasn't as cold as some years - water temperature was measured at 43 degrees. WCPO videographer Scott Wegener captured the highlights. HIDDEN VALLEY LAKE, Ind. — It wasn't as cold as some years - water temperature was a balmy 43 degrees - but it was still an icy way to welcome the New Year. Dozens took part in the annual Polar Bear Dip at Hidden Valley Lake Tuesday. Watch Scott Wegener's video account in the player above. One brave soul, Lewis Carmody, came all the way from England. See what Carmody said about his experience in the video player below.